Discussion in 'Work in Progress' started by Alix, Jul 5, 2018. 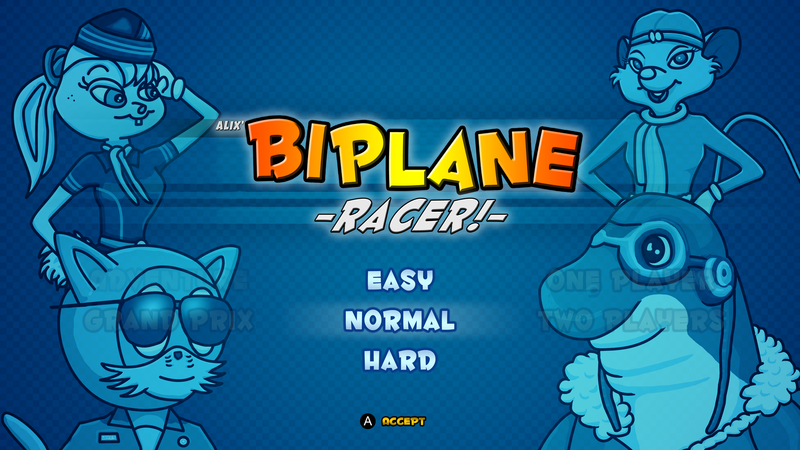 Biplane racer is a 2D racing game for PC (and consoles tbd) that puts you in a cartoon biplane to race against other goofy animals in hazard filled aerial tracks. One wish shall be granted to the victorious participant of the grand prix. Each animal character is benevolent and they have good intentions for their wish. The characters will represent good values and good attitudes in life (saving the planet, caring about one’s health, friendship, etc.). Racing games, such as Mario Kart/Diddy Kong Racing, have had success using similar concepts and this product reproduces the excitement from the same game loops/game experience. 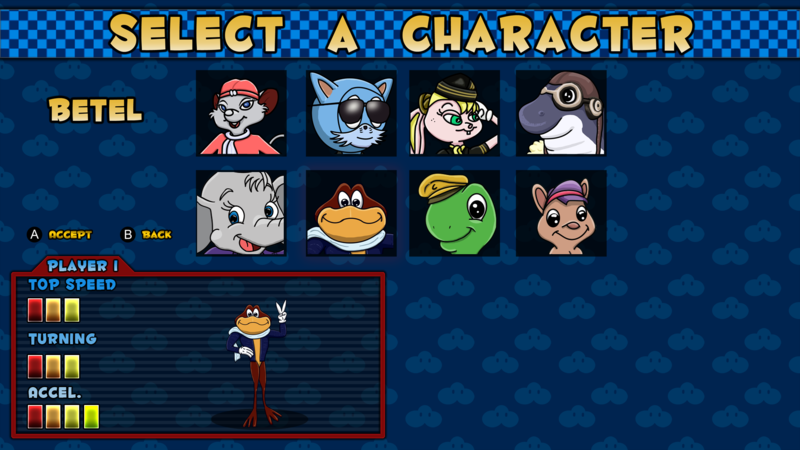 You pick a character based on your preference and style then follows the selection of the grand prix to participate in. 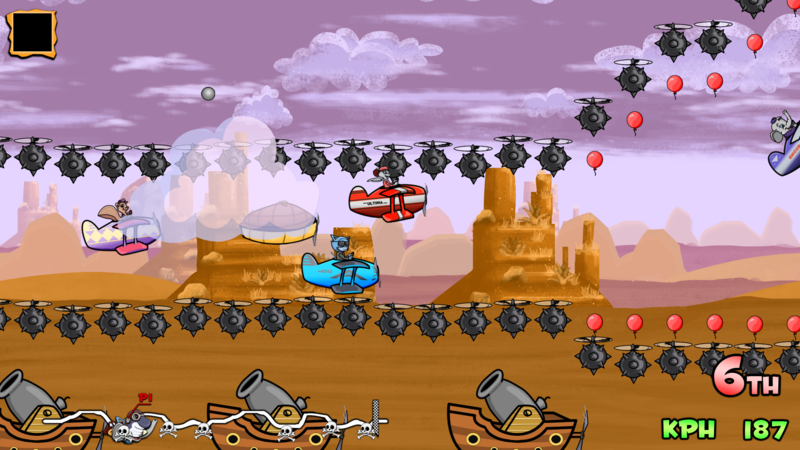 The race starts with a bang and you fly through the race track surrounded by obstacles and traps. 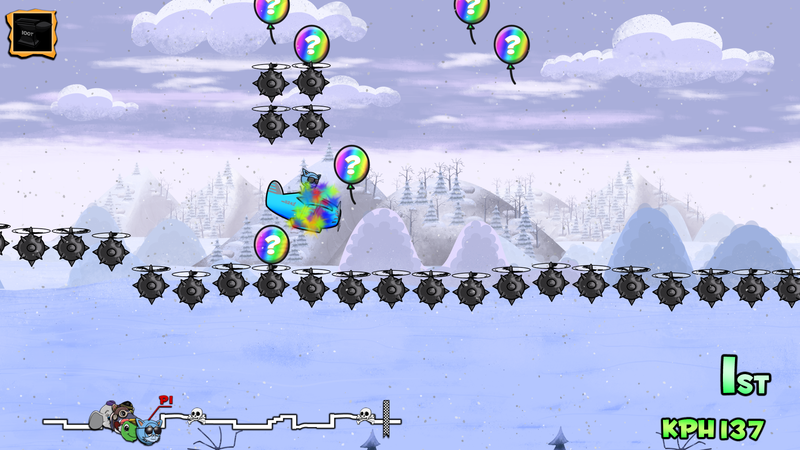 After breaking a special balloon, you obtain an item to keep until the perfect moment. 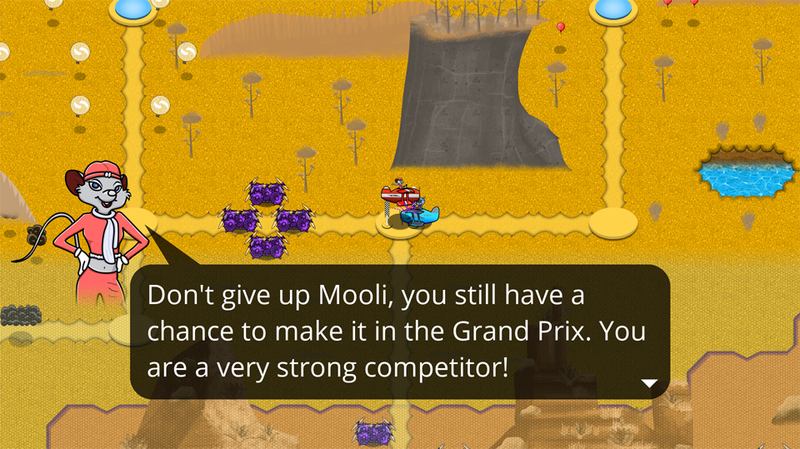 An enemy gets past you in a turn and you blast him with your special item, disabling them for a bit, just enough time for you to speed ahead and reclaim your rank in the race while dodging other adversaries’ powers as you reach for the finish line. All platforms could be targeted. I would expect a better reception on handled (switch), but is being made first for PC due to ease of access. Theme is cartoon/kid friendly. Screenshots for the game have been included in the dedicated folder. The plan will be used to identify a clear end date for the period required to complete version 1.0. 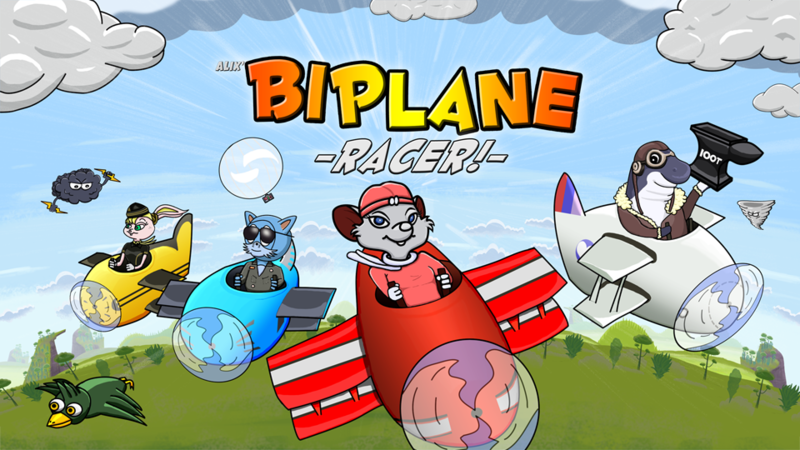 Additionally, it will ensure clear goals are laid out and define the methodology required to reach said goals for the remainder of the development period of the game “Biplane Racer”. Furthermore, the plan will serve as overview for outside parties to judge the readiness and seriousness of the project’s management. -Project funding is man-hours. Currently there is no outside funding to outsource content creation. -Man-hours are only available as part-time due to having a 40h day job. The current average amount of hours anticipated on the project is between 20 and 30 hours/week. If any of those happen, the project would become invalid. I handle everything solo so far (Alix Rocheleau). Project timeline and task management is implemented in Asana, although no finite timeline was established. Previously, the backlog of tasks was included directly with notes in GMS2 resources tree. The estimated release of 1.0 is December 2018. More extensive playtesting could be done based on the results of the first playtest by pushing the release to January or February 2019. - Lots of gaming and "real life" work was done this summer, I did not work on as much as I would like to. Still was able to get some work done nonetheless in coding. 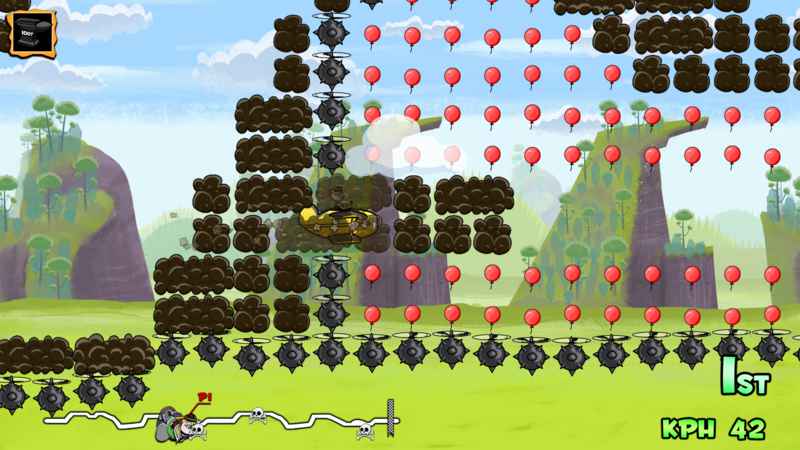 - Finished adventure mode mechanics and world map. Christmas and Holidays are tough, barely did anything else in December, mostly scribbled ideas for stages on paper. - New job position in January, very tired from holidays and work. Did not work on the project in January unfortunately. Don't hesitate to share your thoughts if you read this thread. I would love to hear your feedback and opinions. I'm unable to play as controller isn't to hand - though may go searching for it to give this game a go. If as much thought has gone into the game design and play-ability as has gone into the graphics, this will be one awesome game. Nice that you appear to have spent some time planning ahead, rather than just jumping in and hoping for the best. 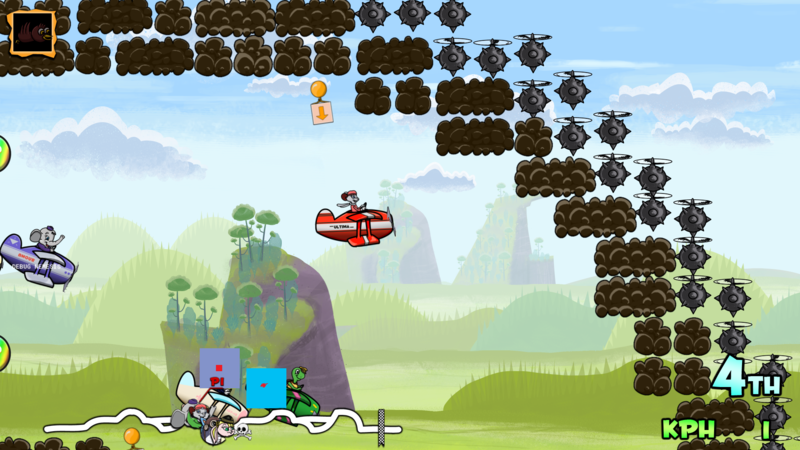 I will certainly be following the progress of this game. Some of those characters look suspiciously like copyrighted characters. I did take inspiration from cartoon clichés and Disney's generic "animal to human" style. Mostly just the Elephant looks a lot like Dumbo, and the one next to it looks like you just recoloured that Looney Tunes dancing frog. The turtle looks familiar too but that may just be nothing. That's all. 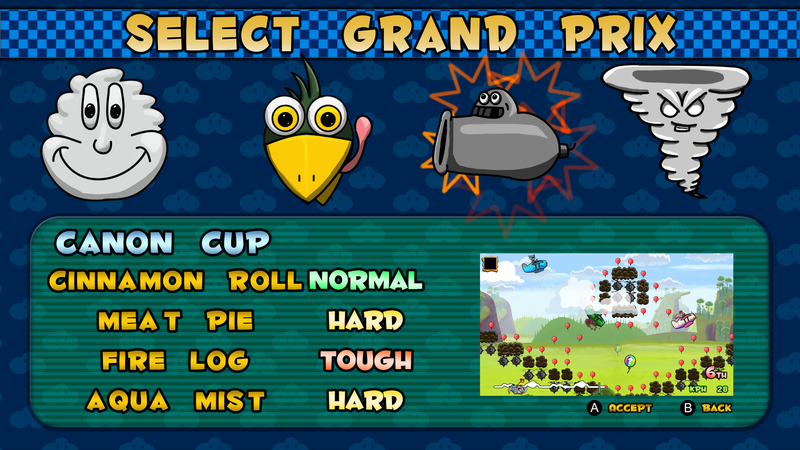 Game itself looks fun and makes me think initially of Diddy Kong Racing which is neat. Working on backgrounds this week. Still doing progress on backgrounds. New beta version with all GPs playable. No adventure mode. Feel free to comment or share your thoughts. Traps can be bypassed and allows you to use shortcuts in some cases. No important update this week, working on intro/outro storyboard for each character. 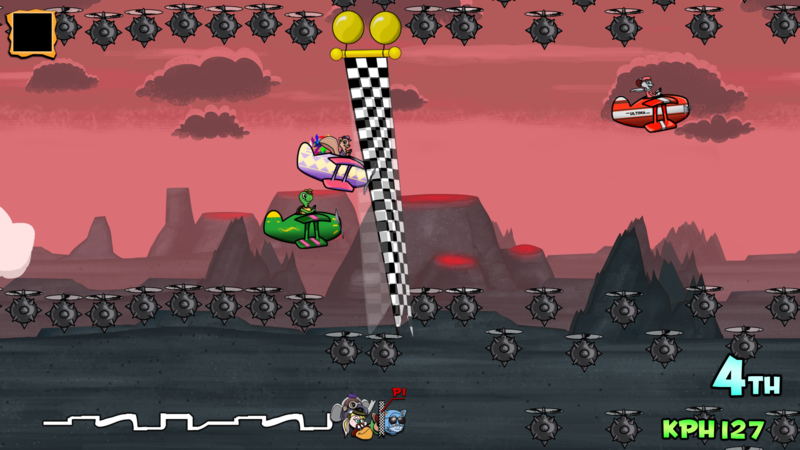 Meanwhile you can look at this character "Pulse" using his special which calls a shark from the bottom of the level to jump and hit everyone in its path. I have decided to change the steering behavior. The new method makes the AI more prone to mistakes which in turn feels more dynamic. Lots of room to grow if I decide to spend more time on it. 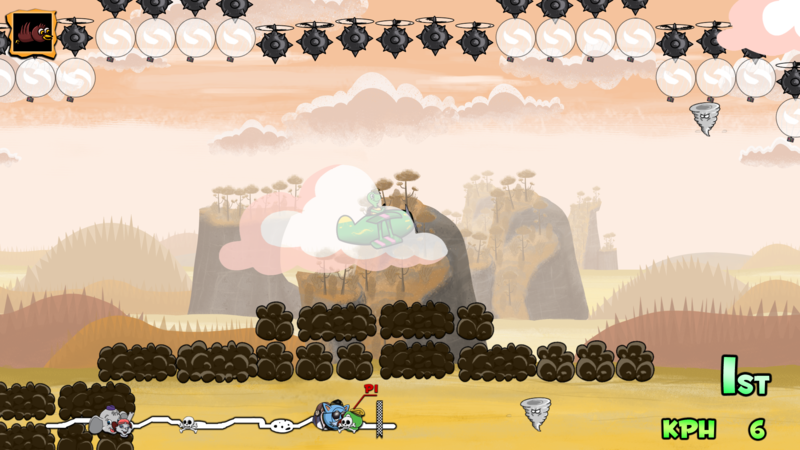 Updated beta version with some changes and music. Updated demo, nothing major but mostly tweaks on Ai, audio, races. 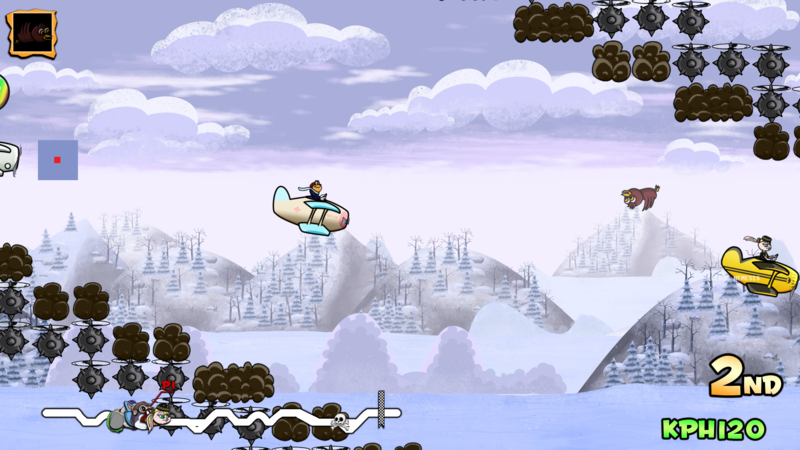 Worked a lot on the adventure mechanics and art, now its time to start building the map! Updated with trailer and steam page. Still doing testing and ofc always looking for feedback!